Color slides featuring library technology from the 1980s are now available at DigitalNC.org. 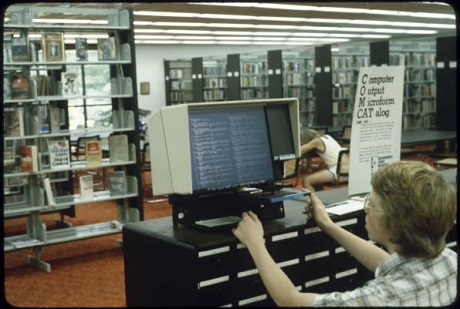 The slides come from the Rockingham County Public Library and feature an early version of a computerized card catalog as well as microfilm and microfiche readers. 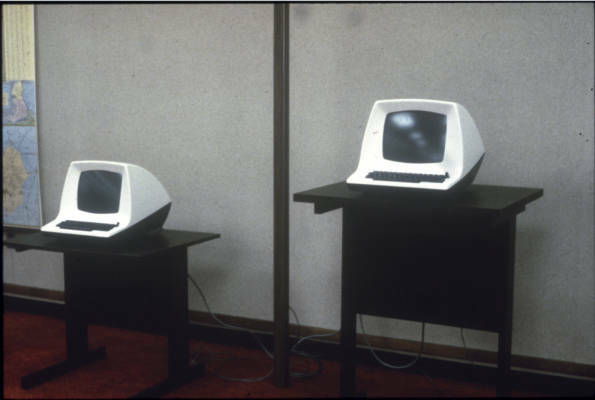 The slides also feature the audiovisual equipment available for use in the library, some examples of patrons using the equipment in the Listening Room, and computer terminals available for patron use. Also available are color slides featuring other aspects of the Rockingham County Public Libraries in the 1970s and 1980s, including storytimes, library staff, and library spaces (such as Stoneville Library’s Genealogy Area, Reidsville Library’s card catalogs, and Madison Library’s circulation desk). Scrapbooks featuring newspaper clippings of Stanly County and Albemarle men and women in World War II are now available at DigitalNC.org. 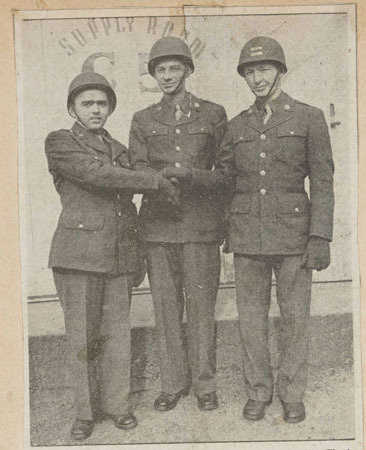 When families received letters or news of their soldiers, The Stanly Observer helped share the updates with the whole community. The majority of stories discuss promotions, furloughs, and training. Some highlights include news of men from the area in North Africa and reuniting with familiar faces and enjoying free cigarettes courtesy of a public program sponsored by Walter B. Hill Post of the American Legion. These scrapbooks are from the collections of the Stanly County Museum. World War II scrapbooks from Stokes County and Wilson County are also available at DigitalNC.org. Student yearbooks from Wayne Community College in Goldsboro are now available on DigitalNC.org. The thirteen digitized yearbooks cover the years 1964 to 1985. The picture above is from the 1970 yearbook. The original yearbooks are in the collections of the Claude A. Erwin, Jr., Library, located in the Wayne Learning Center. The school was established in 1957 as the Goldsboro Industrial Education Center. 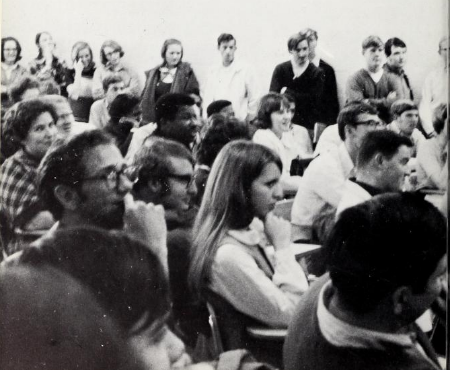 In 1964 the name was changed to Wayne Technical Institute and in 1967 the school joined North Carolina’s community college system.